Nearly half of millennials surveyed say theyre more likely to pay in cash now than a few years ago. 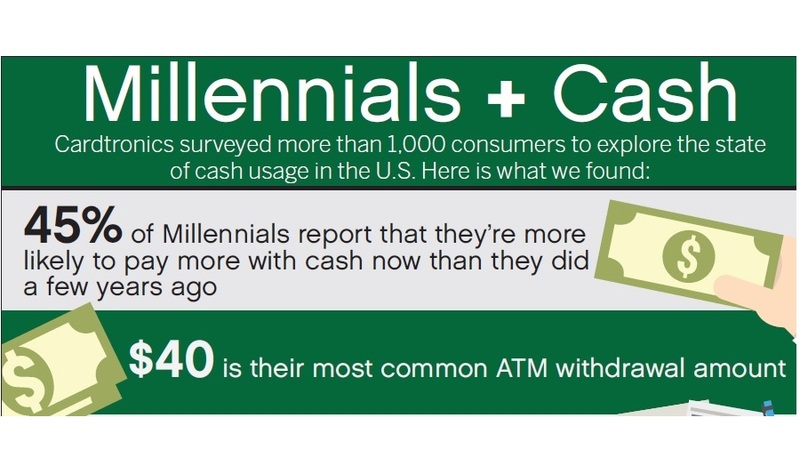 Cash is still king among many millennials, according to a new Cardtronics survey. Mobile wallets, cardless transactions and person-to-person payment technology get a lot of attention, but at the end of the day, some people – and especially millennials – would rather just use cash, according to a new study by ATM servicer Cardtronics.